So it was that we left Palolem after 4 days and travelled to the state capital Panjim for two nights. We had been looking into booking onward train tickets down the coast to the state of Kerala but had no luck finding available seats. In Panjim we found our worst nightmare. A small and unsociable town that is both closed off from you in a "locals only" atmosphere but also closed around you, because as we were to discover - it is a very difficult place to leave. 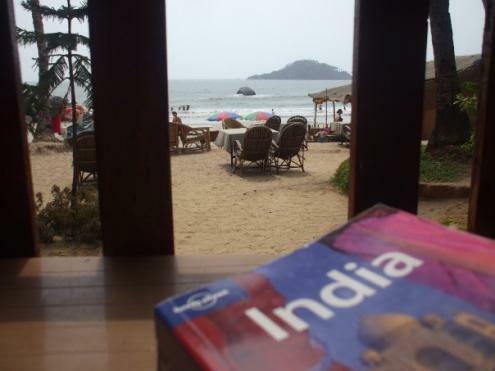 We looked into train tickets and flights out of Goa to Kerala and even as far as Sri Lanka. Our search proved fruitless. Train tickets are both expensive and difficult to book because they sell out almost 90 days in advance! We struggled to find anywhere good to eat or drink and so we decided to head back to a beach.